From the critically acclaimed author of This Burns My Heart comes a “luminous mother-daughter saga” (Entertainment Weekly) about a young woman who is forced to flee 1980s Brazil for California, and in doing so unearths the hidden life of her enigmatic mother. Mara Alencar’s mother Ana is her moon, her sun, her stars. Ana, a struggling voice-over actress, is an admirably brave and recklessly impulsive woman who does everything in her power to care for her little girl in perilous 1980s Rio de Janeiro. With no other family or friends her own age, Ana eclipses Mara’s entire world. They take turns caring for each other—in ways big and small. But who is Ana, really? As she grows older, Mara slowly begins to piece together the many facets of Ana’s complicated life—a mother, a rebel, and always, an actress. When Ana becomes involved with a civilian rebel group attempting to undermine the city’s cruel Police Chief, their fragile arrangement begins to unravel. Mara is forced to flee the only home she’s ever known, for California, where she lives as an undocumented immigrant, caregiving for a dying woman. It’s here that she begins to grapple with her turbulent past and starts to uncover vital truths—about her mother, herself, and what it means to truly take care of someone. 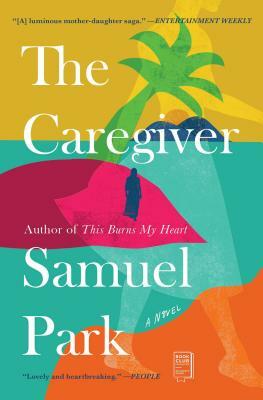 A “lovely and heartbreaking” (People) story that is “simultaneously dreamlike and visceral” (The Atlantic), The Caregiver is “a beautiful testament to Samuel Park’s extraordinary talents as a storyteller…that reads, in some moments, like a thriller—and, in others, like a meditation on what it means to be alive…A ferocious page-turner with deep wells of compassion for the struggles of the living—and the sins of the dead” (Kirkus Reviews, starred review).